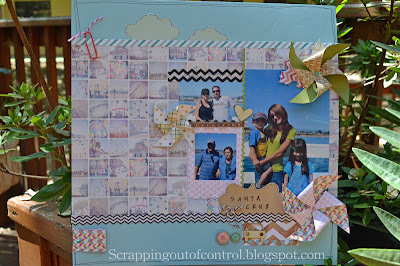 Welcome to another My Creative Time Scrappy Monday!!!! How many of us are behind on our layouts?? Me!!!! Well, I don't think I will ever catch up! I have boxes full of pictures! 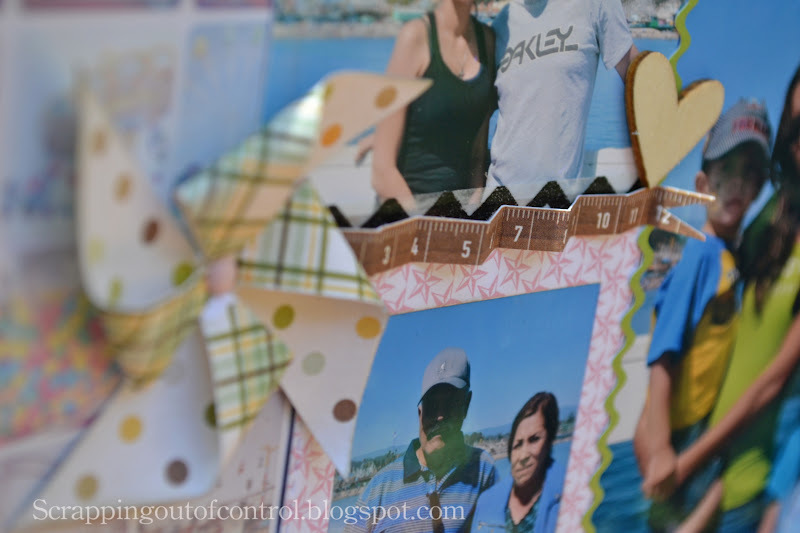 Here is a great way to put those beautiful photos and papers to use!!!! I hope this has inspired you to get started on those layouts! I just love this layout and love how MCT stamps can be incorporated into any style! BTW, I have no idea what happened to my style..I went from shabby/ vintage to whimsical??? Mid life crisis??. LOL. Anyways, I hope you enjoyed today's Scrappy Monday. Have a fantastic week! Big crafty hugs!!!! This is beautiful, Tracy! I love your pinwheels and how you used the little car wood veneer! Nancy ~ thsi is just GORGEOUS! I am always AMAZED what I pick up form you! Okay the oinwheel ~ I LOVE! How you used so many different papers and made them blend together ~ is beyond me! 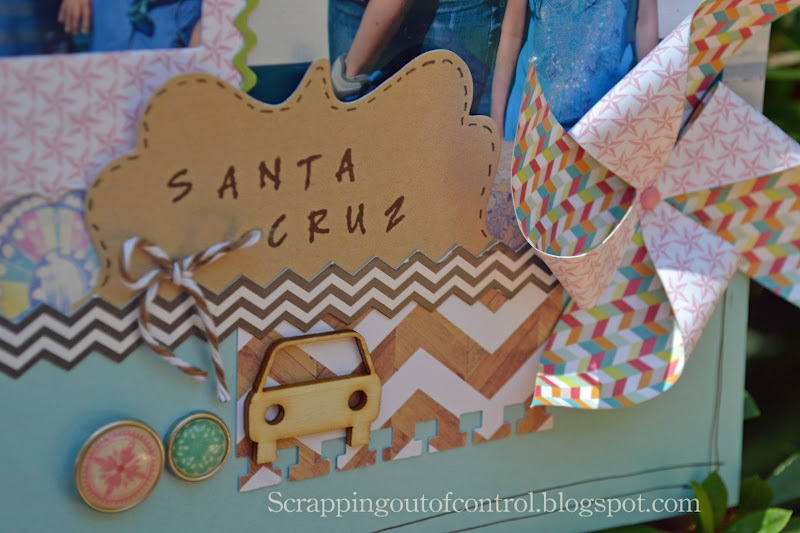 LOVE the chevron piece, how you did the paper on top of the polariod die ( CLEVER and lifting that idea)and how you mixed those two Echo park papers togethr! WOW! You ALWAYS amaze me ~ always!!!! What fun papers and such a pretty layout. Looks like you all had a great time! I just love your layouts and this one is no exception!! It is beautiful! Love all the little details you added, you are so talented!! Great job on your layout! The papers and embellishments are so cute. Styles change and I think changing things up in albums make them more interesting. nancy, this is sooo pretty! I love what you do with chevrons!! !